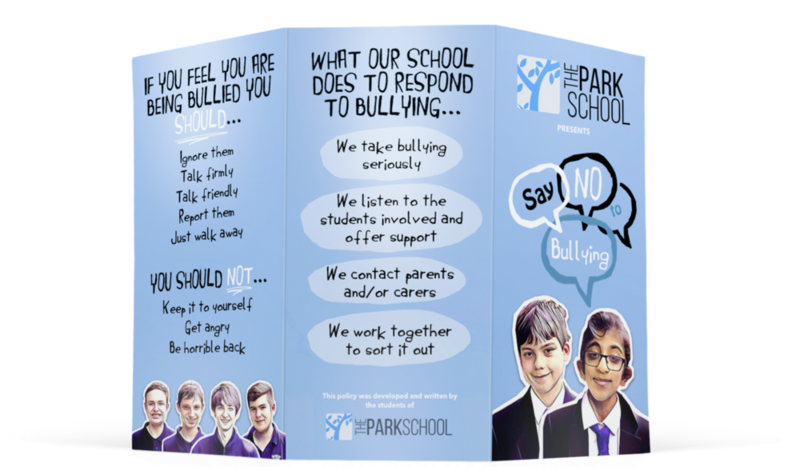 The Park School provides a safe and caring environment for all students allowing them to learn effectively, develop resilience, maximise their potential and improve their life chances. We help our students to understand and the issues related to bullying and develop their self- awareness through our PSHCE programme, special events, therapeutic support, extra-curricular activities and relevant cross curricular planning. Kidscape believe that all children should be able to grow up in a world free from bullying and abuse, and that all adults should keep children safe and help them to reach their full potential. Childline is a free, private and confidential service where you can be yourself. Whatever your worry, whenever you need help, however you want to get in touch. We're here for you online, on the phone, anytime. The Anti-Bullying Network is an independent operation who supports anti-bullying work in schools, and offers an anti-bullying service which will include the provision of training, publications and consultancy services. Transforming Conflict is one of the leading providers of training and consultancy in the UK in the field of restorative approaches in schools, residential care and other youth settings, and are also the longest established. Family Lives is a charity who helps parents to deal with the changes that are a constant part of family life. Their role is to provide support to achieve the best relationship possible with your children, as well as supporting parenting professionals. Listening, supportive and non-judgemental advice and resources for anyone being bullied or if you know someone who is being affected by bullying of any kind. Part of the Family Lives network. Ditch The Label are a leading international anti-bullying charity. They are proud to be different, and believe in a world that is fair, equal and free from all types of bullying. 'Bullies Out' award winning work is delivered across the UK and Ireland and each year, through their work with schools, colleges, youth and community settings. They provide education, training and support to thousands of young people.